After fifteen successful years promoting sustainability across the Swansea region, funding for the Sustainable Swansea initiative has come to an end. This website provides an overview of what has been achieved through the initiative and remains a useful source of information and ideas. The partnership project, managed by Swansea Environmental Forum, has achieved many things over the years including: working with communities to create over a dozen Green Maps; organising major public exhibitions and events such as Earth from the Air and Hard Rain; coordinating the prestigious Sustainable Swansea Awards that brought well-earned recognition to many local organisations, projects and individuals; organising four Digital Streams projects to engage people with their water environment and exhibiting the participant's photographs at notable public venues; establishing the Swansea Sustainability Trail and running the Trailblazers children's holiday activities. 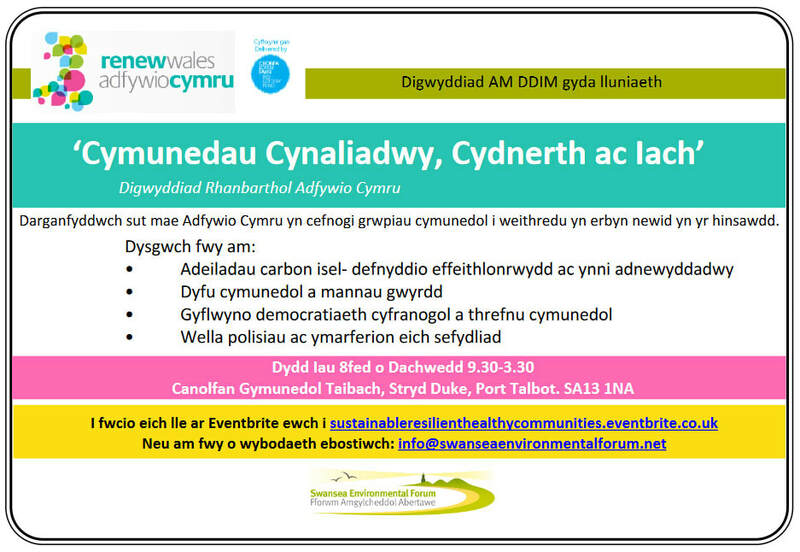 The Sustainable Swansea project staff have now moved to pastures new and Swansea Environmental Forum will be focusing on other projects over the coming years. We would like to thank all the staff, volunteers, funders and participants for their support and contributions. The latest Diigital Streams exhibition is now up in the lovely Whitewalls Gallery in the Waterfront Museum until the 17th of February. Again, the project has taken a group of local Swansea residents out and about, exploring and photographing some of Swansea's awesome waterways and their surrounding environments. Over 5 weeks, the group visited some well known, and less well known places, looking at the different habitats and the flora and fauna that thrive there. Week 1 saw us walking down the old Swansea Canal from Treboeth to Clydach (see left), whilst week 2 was spent exploring the beautiful RSPB wildlife reserve at Cwm Clydach. Week 3 took us out to the man made lakes at Llansamlet - Pluck and Fendrod, week 4 saw us exploring the nature reserve at Dunvant Brickworks, and the final week was spent walking down the Clyne Valley to Clyne Gardens. We found plenty to like about the rivers and lakes we visited, and with the help of the Natural Resources Wales officer who accompanied us, were able to understand a bit more about the issues of pollution and flooding that can affect them so much, as well as finding out about the life to be found in, on and around the water. 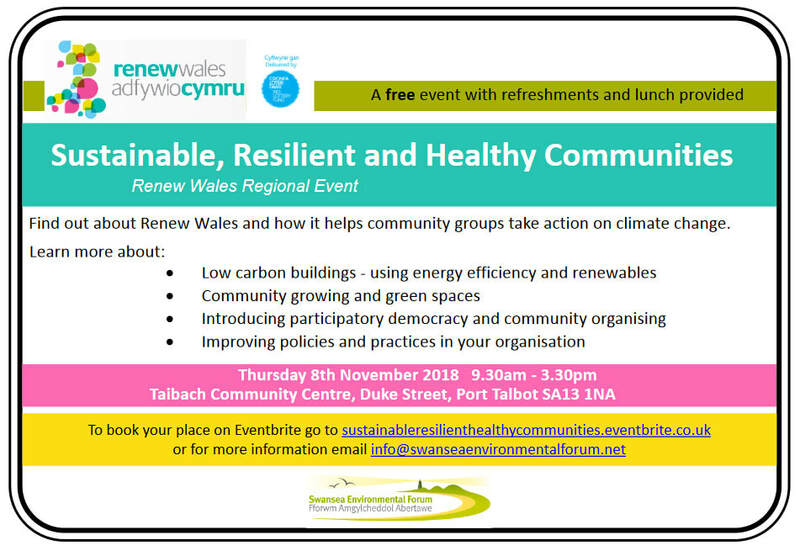 Renew Wales is organising this networking event in Port Talbot, aimed at community groups who are looking for support to take action on climate change.